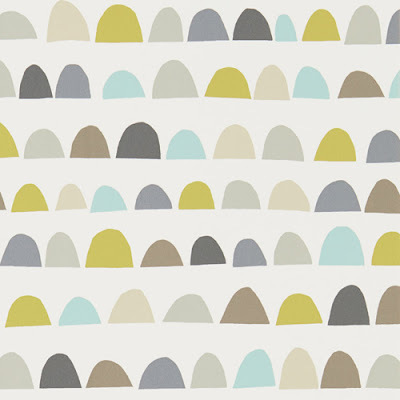 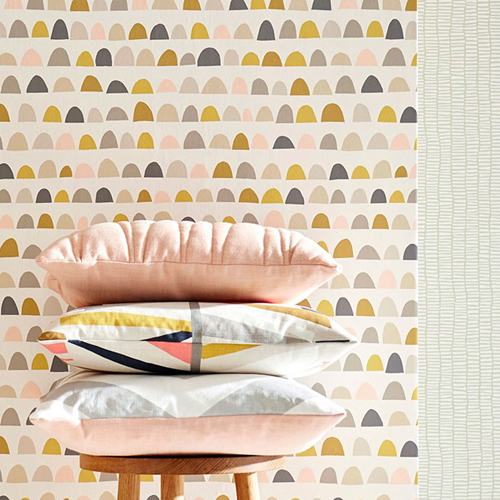 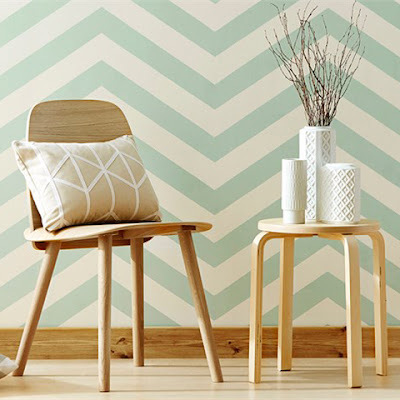 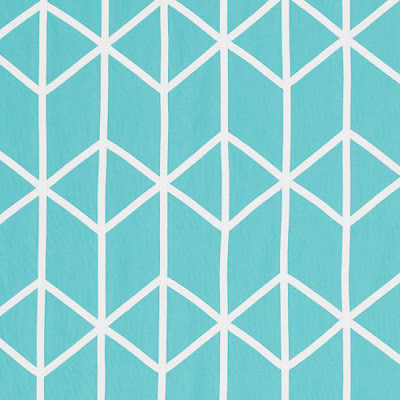 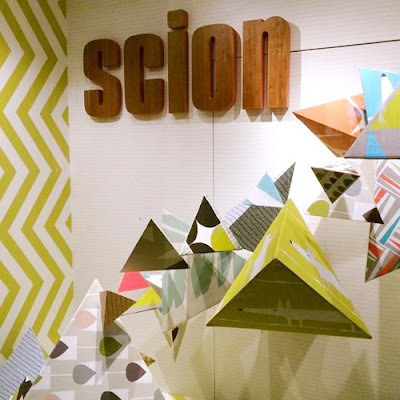 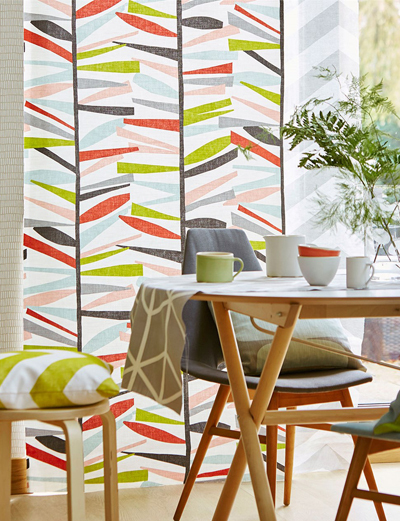 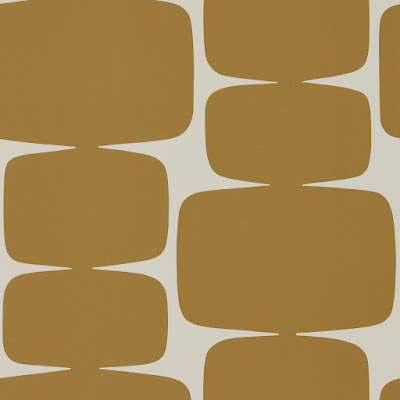 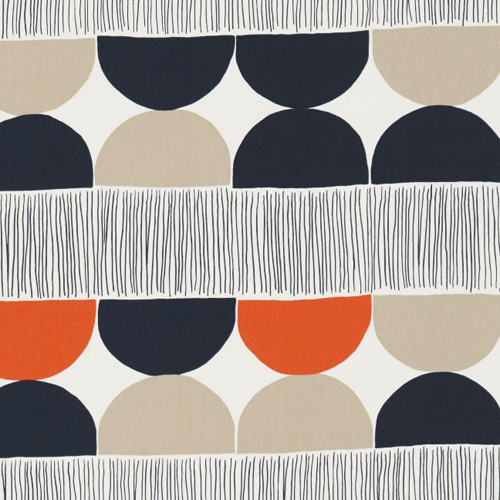 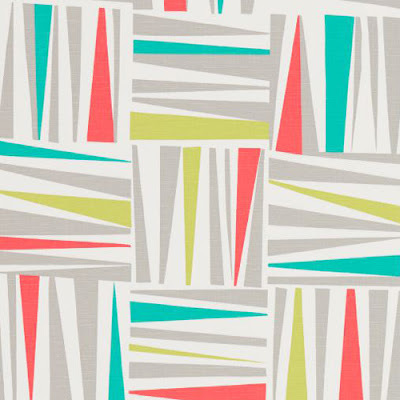 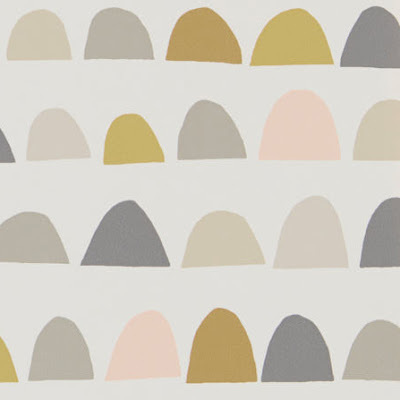 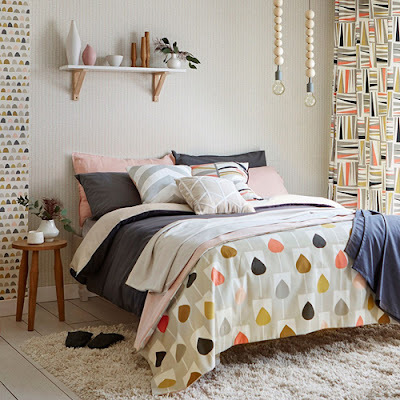 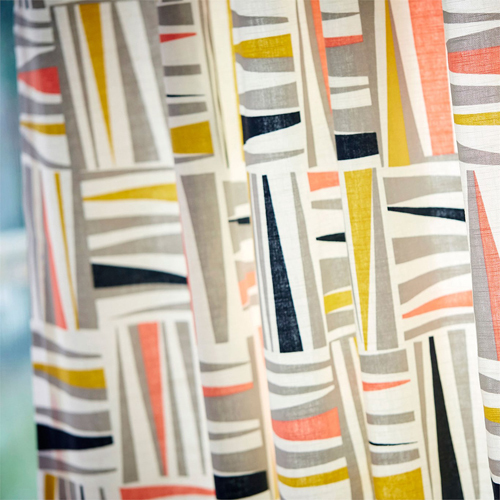 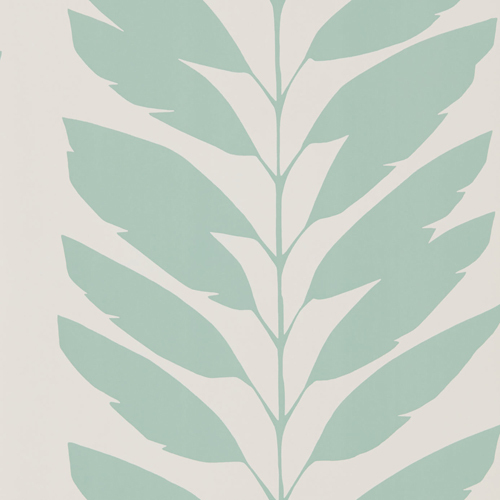 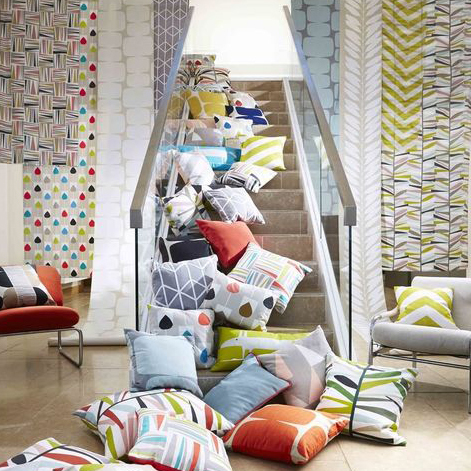 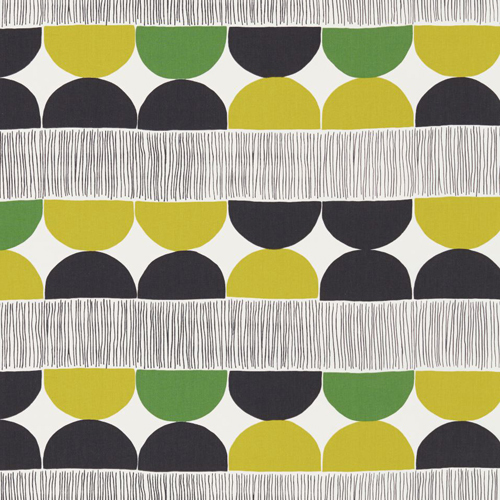 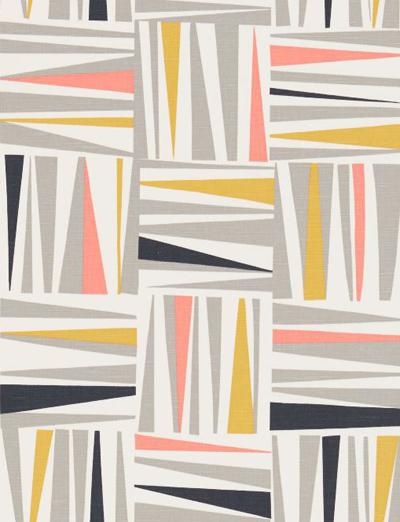 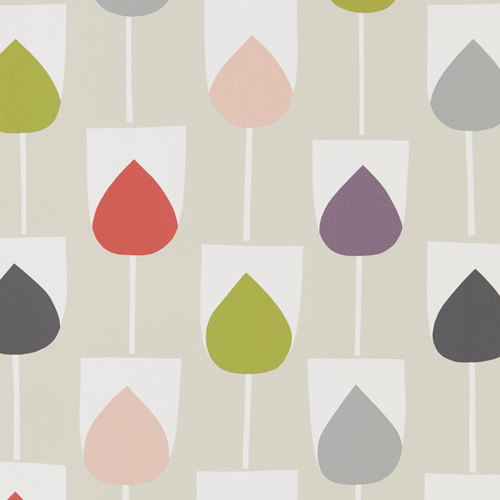 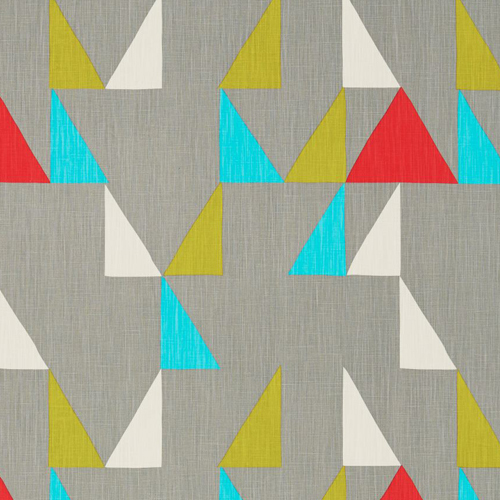 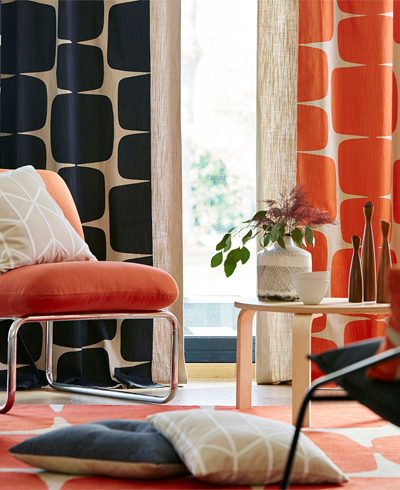 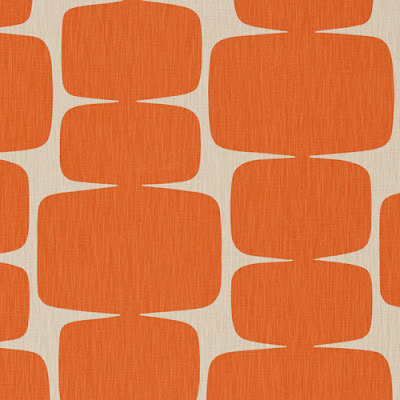 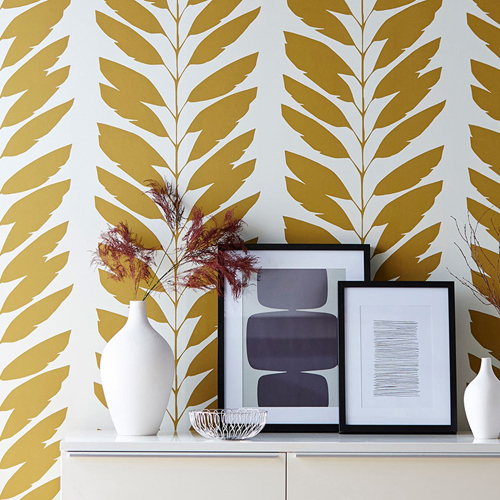 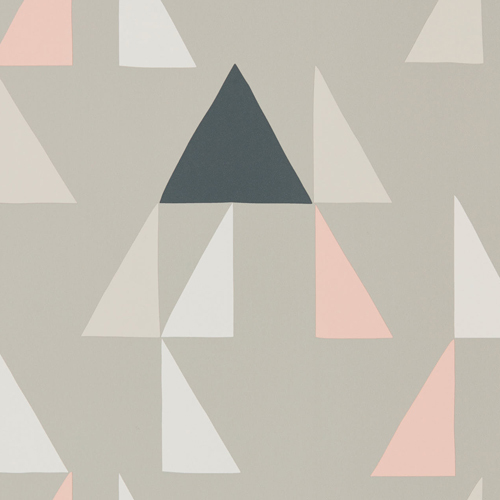 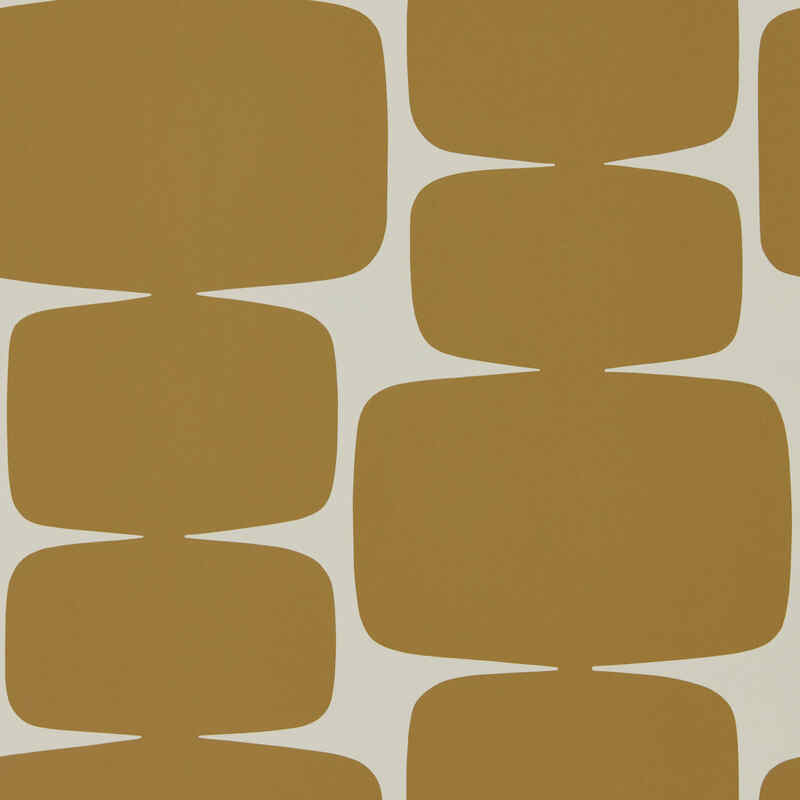 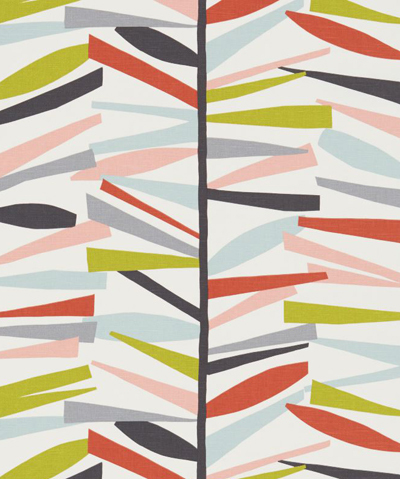 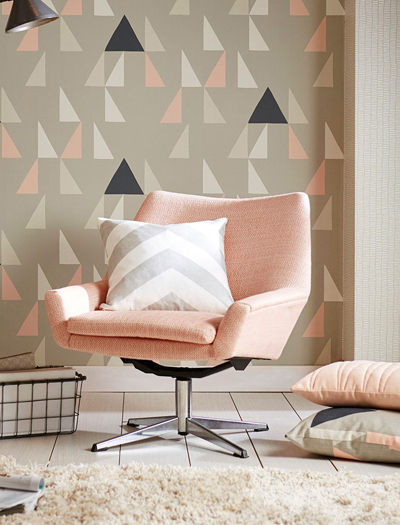 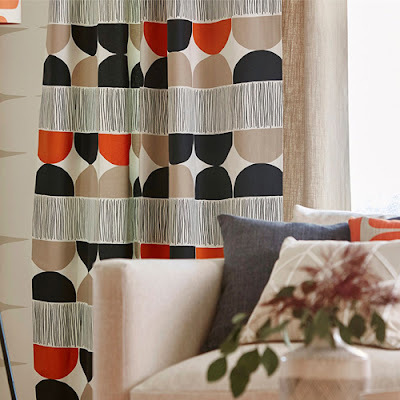 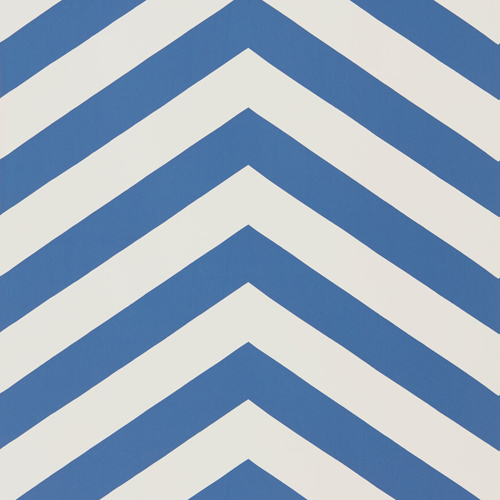 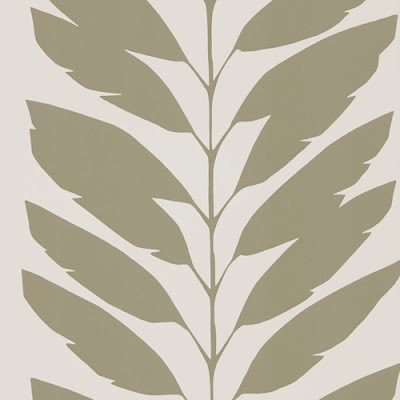 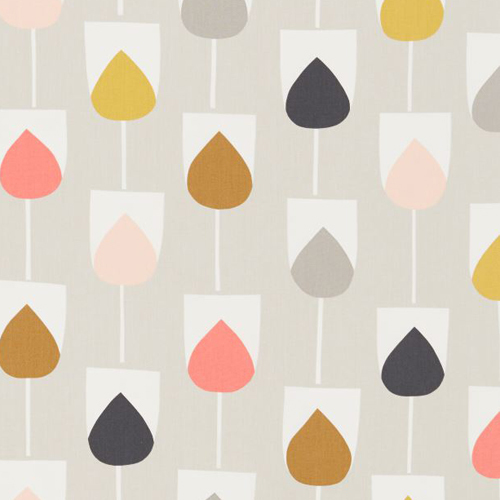 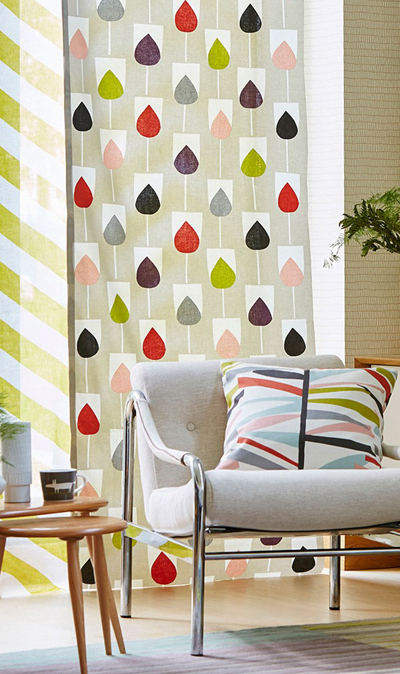 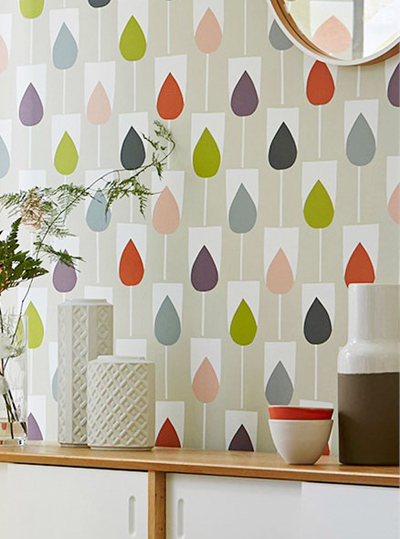 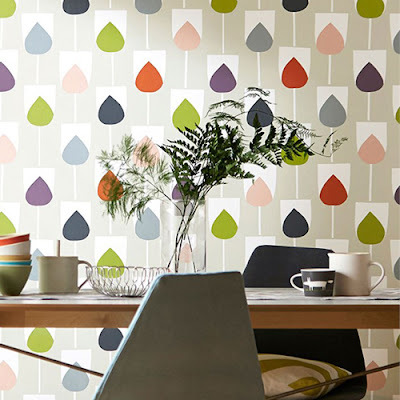 Lohko is the latest range of fabrics and wallpapers from UK company Scion. 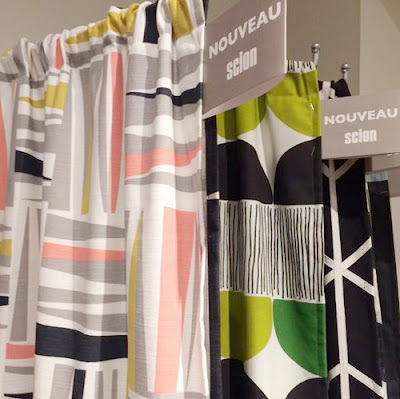 This fabulous new graphic collection was officially launched at a Paris trade show just over a week ago and was designed by Hannah Bowen. 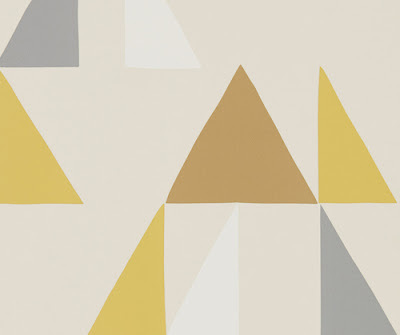 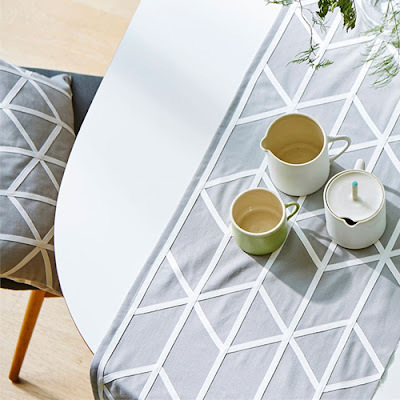 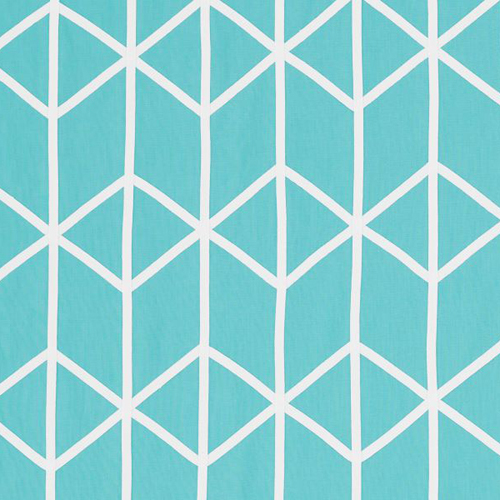 'Lohko' takes its name from the Finnish word for blocks and is an ideal title for this Scandi style geometric range. Motifs include chevrons, cut out blocks, hyper stylised tulips, deconstructed trees, graphic branches, sharp triangles, and abstract boulders. The oversized prints and bold colours have lots of exuberance and energy and the full line up can be seen online now at Scion.